The SSA Office of the Inspector General (OIG) has determined that, due to a computer error, it did not receive any fraud allegations submitted through its online fraud-reporting form from 3:30 p.m. on Monday, September 10 to 9:30 a.m. on Wednesday, September 12, 2018. This entry was posted in Fraud by Andrew Cannarsa, OIG Communications Director. Bookmark the permalink. I watch my SSA account very closely and carefully. as far as I know I already have an SSaccount so why are you telling me to set one up? I working in this country for longtime when i was with out paper legal immigration in the temp agency for nothing $5 an hour on 1992 now I’m been suffering with depression i apploy for benefits i have no money from social security administration.those temp agency never paying taxes to ssa i lost all my benefits since i was working that’s is fraud. You had no papers! It is Illegal for you to work ,thus you have no right to complain or collect. They owe you nothing. My husband and I keep getting calls (sometimes 2–3 times a day) from a provider of back braces insisting that we accept the brace and that Medicare will pay. EVERY TIME I tell them when my doctor tells me to get a back brace, I will. In the meantime they are to leave me and my husband alone. Next day, another call or 2 or 3. I feel this a rip off of Medicare. It is not uncommon for estranged or former spouses to harass their estranged or former spouse by submitting false Fraud Allegations allegedly committed by their estranged or former spouse. Sanctions and or penalties need to be applied to said estranged or former spouses who submit such false allegations. Many times payments are suspended during the investigation of the estranged or former spouse which cause the estranged or former spouse financial hardship and emotional distress. Yet, they may do this repeatedly with no consequences. I agree whole heartily. However at some point and time due diligence should be able to depict the non-sense… I am a victim,& yes it can cause a hardship and stress.. So sad how this agency allows disgruntled individuals to use the systems to waste ink, paper,etc and man-power hours to continue this dysfunction at all cost. To conclude: It really leave many things to question when it come to the “Red Flags the create….. They actually report fraud so much that the Social Security Case Managers look at the Victim in disbelief because the Sick Ex-spouse control the System with their anger.. Truth be told…. I’m sorry was I being accused of something? I just was trying to get back into my social account and could not, I need help getting in because I submitted an online application. And yet above ,an illegal immigrant is trying to get ss benifits.go figure. Ssa must be ripe with fraud. When I worked a perfectly healhy 21 year old said why do you work I never have to I just get ssa. Some Doctors will say disabled when the person isn’t. Some lawyers advertise daily that may scam ssa. Medical device companies back braces sellers say free from Medicare. When applied for ss benefits after working 47 years only two seniors at our ss service center. The office was filled with perfectly healthy 20 year olds who mostl likely never paid into ss applying. Please, please clean up this problem asap so ss doesn’t go bankrupt!! Yes ,I’ve been in the SS office and have noticed the same. It’s sickening, I had to hire a lawyer to get SSDI after working 40 years and becoming disabled and was given a hard time. These young people wanting on ss after working 2 years or less with ” I’m afraid of coffee cups” syndrome is just wrong! If they only worked 2 years they would not qualify for any benefits/money from SS. Please don’t complain on an issue you apparently haven’t researched. If you don’t pay in you won’t get paid out! Besides I receive disability payments and trust me SS will not go broke paying me. and even never knew, that such an action is possible. I receive a call from automated recording stating that I had been involved with some fraudulent activities through the SSA and that I needed to call a number with an area code that begins with (202) and I saved the message so that I could contact my States Attorney Generals office in hopes of tracking down these criminals because the SSA has never contacted me on such an area code. Thank you for checking in with us. Social Security Administration (SSA) employees occasionally contact citizens by telephone for customer-service purposes. An SSA employee may call you in limited situations, such as if you recently filed a claim or have other Social Security business pending. In only a few limited special situations, usually already known to the citizen, an SSA employee may request the citizen to confirm personal information over the phone. Thank you for taking care of our personal and Vital information. We trust it will stay Safe and Away from dirty elements of Society’s Low Level Elements. Thank you very much for sharing all that necessary information that we did not know. We, husband (myself) and wife (Bilqees Jahan Malik) thank you all for sharing all the information that help us get to know people in our immediate neighborhood and around. First of all, thank you for starting and consistently keep running programs like this for people “LIKE US” who become very vulnerable due to Age-Factor. The dirty elements in the Society take advantage of their weaknesses and exploit them at the cost of their peace of mind. One of these problems is “Dementia” and “Physical Weakness” to do everyday work in and around the house. WE SOMETIMES FORGET TO TAKE MEDICINES & DO OTHER HOUSEHOLD REGULAR WORK. Sometimes we forget to eat our breakfast. I hope we have come to the right place. I order a social security card on September 19, 2018 and have not received it. PLEASE WRITE TO ME HOW I MAY MAKE A COMPLAINT OF THEFT OF SERVICES? by Hale House of Clarendon Street/Boston,MA. of THE HALE BERNARD SYSTEM in 2017. I entered Late in April. and I received no SERVICES. Unfortunately, and because of security reasons we do not have access to personal records in this blog. Please call our toll free number at 1-800-772-1213 for assistance. Representatives are available Monday through Friday, between 7 a.m. and 7 p.m. Generally, you will have a shorter wait time if you call later during the day or later in the week. Thanks! Good evening Sir/Madam: My name is Samson O. Adeboye, and I am a DC resident. On September 12, 2018 someone called my homephone, and claimed to be the Director of Social Security Office on the voicemail he left for me. I suspected that the call which came from Sandy Spring in Maryland must have come from the fraudulent people. The phone number, as recorded by my coller-ID is 1-240-324-6938. The caller said that my Social Security number has been involved in fraudulent activities. My phone number is 202-484-0265. Thank you. Social Security Administration (SSA) employees occasionally contact citizens by telephone for customer-service purposes. An SSA employee may call you in limited situations, such as if you recently filed a claim or have other Social Security business that are pending. In only a few limited special situations, usually already known to the citizen, an SSA employee may request the citizen to confirm personal information over the phone. If a person has questions about any communication—email, letter, text or phone call—that claims to be from SSA, please contact your local Social Security office, or call Social Security’s toll-free customer service number at 1-800-772-1213, 7 a.m. to 7 p.m., Monday through Friday, to verify its legitimacy (TTY number at 1-800-325-0778). Citizens may -also- report that information to the OIG at 1-800-269-0271 or online via https://oig.ssa.gov/report. I would love to make an appointment for a face to face visit. I cannot go there to make the appointment do to the fact I cannot drive. I cannot afford to live in general if we cancel my son’s social he is a full time student. Can’t you take the public transportation system the “BUS”? Hi ; I submitted fraud December 2017 for my son . We found out do to a back ground check , that someone else has been using his social security number. He was born November 1999, the report goes back to 1986. We are just getting a run around. This is affecting his getting in to college, among other things. I have contacted social security. All they say is to go contact other agencies. I have pulled his credit . They say to report to police and contact IRS. I don’t understand why they won’t fix this? Can you offer any guidance? Hi Larry. Sorry to hear about the issues you are experiencing with your son. Generally, identity theft issues are handled by the Federal Trade Commission. Visit http://www.identitytheft.gov to report identity theft and get a recovery plan or call 1-877-IDTHEFT (1-877-438-4338). Visit our Frequently Asked Questions web page for details on what to do if someone is using your Social Security number. I received three calls from 239 230-0736 I didn’t recognize that number so the first two times I ignore it! When the third call came I answered and he identified himself as a representative from Social Security Administration and requested my social security to make sure he was speaking to the right person, of course I didn’t give them my number and so they told me my benefits would be suspended indefinitely! What does this all mean? Should I worry about getting my benefits? Ellen, thank you for checking in with us. Social Security Administration (SSA) employees occasionally contact citizens by telephone for customer-service purposes. An SSA employee may call you in limited situations, such as if you recently filed a claim or have other Social Security business pending. In only a few limited special situations, usually already known to the citizen, an SSA employee may request the citizen to confirm personal information over the phone. Hello Edgar. We ask our customers to review their statement of earnings carefully, using their own records to make sure our information is correct and that we’ve recorded each year you worked. Any of our representatives should be able to assist you in reviewing your record and verifying your payment information. If necessary, you will need to go into your local Social Security office to correct your earnings record. When you go, you will need to provide proper ID and evidence of your missing earnings, such as W-2s, pay stubs, etc. You can call our toll free number at 1-800-772-1213 (TTY 1-800-325-0778) to make an appointment. Representatives are available Monday through Friday between 7 a.m. and 7 p.m. Generally, you’ll have a shorter wait time if you call later during the day or later in the week. Thanks! I received a fraudulent call from 781-923-0694 threatening that my benefits will be suspended. Has anyone else received such a call? Hello Lisa. The Federal Trade Commission (FTC), which receives and analyzes public complaints related to identity theft, recently reported to the Office of the Inspector General (OIG) an increase in reports of suspicious phone calls from people claiming to be SSA employees. If a person receives a suspicious call from someone alleging to be from SSA, citizens may report that information to the OIG at 1-800-269-0271 or online via https://oig.ssa.gov/report. Thanks! I am receiving calls from this number: 580-215-4033. They say my social security number is being suspended because it is associated with money laundering? Need to know if this is real! Hello Deborah. Social Security Administration (SSA) employees occasionally contact citizens by telephone for customer-service purposes. An SSA employee may call you in limited situations, such as if you recently filed a claim or have other Social Security business that are pending. In only a few limited special situations, usually already known to the citizen, an SSA employee may request the citizen to confirm personal information over the phone. If a person has questions about any communication—email, letter, text or phone call—that claims to be from SSA or the OIG, please report that information to the OIG at 1-800-269-0271 or online via https://oig.ssa.gov/report. Thanks! Received voice mail from Apopa, FL, Aerialink Wireless B/1Mobile, 407-358-6681. Message: “your social has been found suspicious for some illegal activities & it’s very time sensitive & urgent that I do hear back from you before we proceed further with suspension of your social & assets.” A woman with direct call back at 407-358-6681. When called it almost immediately directs you to voice mail. If you wait to ring thru, no one answers (20 rings). Very concerning. Pls get these people for preying on SS recipients. Got a fraudulent call from your Office in West Palm Beach this morning 800-772-1213 saying my social security has been suspended. It cam from your office. Hi James, thank you for checking in with us. Please see our recent blog post “Inspector General Warns Public About Caller-ID “Spoofing” Scheme Misusing SSA Customer Service Number“. Any time you have questions about any communication — email, letter, text or phone call — that claims to be from SSA, please contact your local Social Security office, or call Social Security’s toll-free customer service number at 1-800-772-1213, 7 a.m. to 7 p.m., Monday through Friday, to verify its legitimacy (TTY number at 1-800-325-0778). You may also report the information to the OIG at 1-800-269-0271 or online via https://oig.ssa.gov/report. 310-620-7928. It stated that my social security number was associated with illegal activities and to call them back immediately. I think this is a scam to get my personal information. Hello James. Social Security Administration (SSA) employees occasionally contact citizens by telephone for customer-service purposes. An SSA employee may call you in limited situations, such as if you recently filed a claim or have other Social Security business that are pending. In only a few limited special situations, usually already known to the citizen, an SSA employee may request the citizen to confirm personal information over the phone. your fraud hotline does not offer me the chance to report attempted fraud. am receiving phone calls saying they’re from ssa and that my soc sec num has been suspended and I should call them at 832-572-5480 (baytown tx) and they’ll tell me why. I have received several calls from someone about a problem with my social security. Received a call from 800-772-1333. They left a message stating my social security benefits may canceled due to suspicious activity on my account. Returned call and they wanted me to take a survey for a cruise. Is this legit? I am getting threatening phone calls saying that my Social Security Number is frozen because it is suspected of illegal activity. If I don’t call back in a short time. I will be subject to arrest. I got 2 of these calls and they originated from the Baltimore area. Please do what you can to stop this abuse. I am elderly and don’t need this crap. Thank you! I have between 12 to 15 calls from Clinton MS Phone No. 601-460-1504. A man claiming to be a Mr. Stone from the SSA saying that he is supposed to close my Soc Sec No because of a great deal of suspicious activity. He wants me to call him back at the above number to discuss this problem. I received an automated phone message yesterday on my home phone saying a social security number had been compromised – it did not state the name or social security number of the household member who was supposedly compromised. The caller ID said it was coming from Folsom. That call was followed up by 4 additional phone calls, all giving phone numbers they wanted me to call. I have received 2 phone calls from 262 477 9464 that left messages saying my ssn has been compromised and used for illegal activities and my assets will be frozen. I should call this number back to talk about the problem. I did not call because it was an odd number and it was from Kewaskum , Wi. Was I right to ignore the calls? Hi, Terri. We do not usually make random calls or request your personal information. If someone calls you saying that they are from Social Security, do not give them your personal information. Instead, contact your local Social Security office or call 1-800-772-1213 to see whether we really need any information from you. I have gotten 3 calls so far telling me they detected fraud on my account and that everything is frozen . They asked me for my name and social security number . I gave them my name but not my ss# . I saved the phone numbers and the voicemails just in case. So how can I help catch these criminals? Hi, Elizabeth. Thanks for letting us know. We do not usually make random calls or request your personal information. If someone calls you saying that they are from Social Security, do not give them your personal information. Instead, contact your local Social Security office or call 1-800-772-1213 to see whether we really need any information from you. Just a reminder – please be cautious about posting personal information on social media. I have been receiving phone calls from 757-525-3040 stating that my ss@ was used in fraud and they are going to suspend it. They called me on 2 different days. I told them they sounded like fraud and they started threatening me. They were good. They sounded middle eastern? do I need to worry? I would like to report a scam call from Brunswick, Maine 406-9696. They left a message saying they were calling me because, they were seeing someone trying to get my social security number, & info. I called the no. & this women talked to me, I asked her what this was about, & she said she couldn’t check my account, with out my s.s. number, I told her I wasn’t going to give her my s.s. no# I would call Social Security, & find out what’s going on, & she hung up..
Nh called and stated that a John Martin badge number 5329 call from 210-767-3313 stated that they were going to take her check for Fraud, kept asking for her SSN and would not tell her what he needed her SSN for. she did not give them her number but hung up the phone. She stated that she tried to call the fraud number but no one was in this morning. today, January 23, 2018, we recieved a call from 1-800-772-6270 saying they were from social security and said our ssn were being suspended. The they ask that we press 1 to find out what the reason was. We did nothing and block the phone number. I just received a recorded message that there is a Social Security fraud charge against me, and to call this number. I called it and they wanted to know when the call came and my name. I told them they should already know my name seeing as the have my phone number. I said they just wanted to make sure they were speaking to the correct person. I gave them my last name then he wanted my full name. When I told them no they hung up. The call came from Cypress Texas, and was 281-213-0238 according to my caller ID. I have recieved several calls for 1-347-349-5303 in the last week claiming they are from your office. Thanks, Zane, for letting us know. We do not usually make random calls or request your personal information. If someone calls you saying that they are from Social Security, do not give them your personal information. Instead, contact your local Social Security office or call 1-800-772-1213 to see whether we really need any information from you. We hope this helps. 828-597-0657. Saying I had a fraudulent account. That is a number in North Carolina. I live in Georgia. I have not called that number. My phone is 706 ;379-2254, and I have done nothing wrong. I have been receiving calls saying there is suspect activity on my social security number and I need to call before they change my number. I have not responded to the calls but need to know if I should. On January 30, 2019, I received a phone call from 469 447 5060 stating that they were Social Security and if I did not call them back at that number they were going to begin legal action against me. I blocked the number and am reporting it to you. If you receive these calls, please report the information to the Office of the Inspector General at 1-800-269-0271 or online. Thanks, again. Hi, Edward. For your security, we do not have access to private information in this venue; therefore, we do not do direct calls in this venue. Please call us at 1-800-772-1213 (TTY 1-800-325-0778) between 7:00 a.m. to 7:00 p.m., Monday through Friday to have one of our representatives assist you. Thanks! I received a call today @ 12:21 pm from a phone # 1-800-772-6311 I did not answer the call it went to my voice message , the caller claims that they are from SSA department that they found some suspicous activity on my social # and have suspend my social security # , and asked that I pressed one WHICH I DID NOT DO. Please investigate and let me know whats going on. I keep getting phone calls from someone claiming to be the Social Security office saying that they have suspended my SS# due to fraudulent activity .. Received several phone calls today saying my social security number has been suspended and to call 443-840-8338. Wish to confirm this is fraud and that my social security number has not been suspended. Thanks. Hi Dolores: If the caller is claiming to be from Social Security—it is critical that you pay attention to the tone and content of the message from the caller. In some cases, the caller states that Social Security does not have all of your personal information, such as your Social Security number (SSN), on file. Other callers claim Social Security needs additional information so the agency can increase your benefit payment, or they threaten that Social Security will terminate your benefits if they do not confirm your information. This appears to be a widespread issue, as reports have come from people across the country. These calls are not from Social Security. I have been called by someone who has represented that there has been fraudulent activity on my social security number. They do not tell me my number or what the fraud is. They don’t mention my name either. When I try to ask a question they hang up. The number they call me from is (707)733-0566.They claim to be from the Social Security Fraud Unit. Hi Arthur: If the caller is claiming to be from Social Security—it is critical that you pay attention to the tone and content of the message from the caller. In some cases, the caller states that Social Security does not have all of your personal information, such as your Social Security number (SSN), on file. Other callers claim Social Security needs additional information so the agency can increase your benefit payment, or they threaten that Social Security will terminate your benefits if they do not confirm your information. This appears to be a widespread issue, as reports have come from people across the country. These calls are not from Social Security. What if someone else is using my SSN? Hi Anne, thanks for the question. Generally, identity theft issues are handled by the Federal Trade Commission. Visit http://www.identitytheft.gov to report identity theft and get a recovery plan or call 1-877-IDTHEFT (1-877-438-4338). Monday Feb 11, 2019 received a call stating they were a social security employee and that there is a legal enforcement action has been filed on my social security account for fraudulent activites. When I called the number back and asked where they were located they hung up on me. The phone number that was called from is 1 281 973-6820. Hi Geraldine: If the caller is claiming to be from Social Security—it is critical that you pay attention to the tone and content of the message from the caller. In some cases, the caller states that Social Security does not have all of your personal information, such as your Social Security number (SSN), on file. Other callers claim Social Security needs additional information so the agency can increase your benefit payment, or they threaten that Social Security will terminate your benefits if they do not confirm your information. This appears to be a widespread issue, as reports have come from people across the country. These calls are not from Social Security. I have received two calls left on my voicemail in the past two days stating the call is from Social Security Administration claiming that my social security # has been suspended due to suspicious activity – instruction to press 1 for additional information – no return phone # is listed. call appears to come from 1-866-404-8824 I have not called that number for fear that I would initiate something. Hi Cheryl: If the caller is claiming to be from Social Security—it is critical that you pay attention to the tone and content of the message from the caller. In some cases, the caller states that Social Security does not have all of your personal information, such as your Social Security number (SSN), on file. Other callers claim Social Security needs additional information so the agency can increase your benefit payment, or they threaten that Social Security will terminate your benefits if they do not confirm your information. This appears to be a widespread issue, as reports have come from people across the country. These calls are not from Social Security. Received a calls from 225-478-6578 saying it was SS Administration calling to inform me of suspention notice against my SS# from Federal Crime Investigation Dept. They called 2/11/19 @ 10:08 am, 10:27 am, 11:51 am and left messages for me to return call. I did a White Pages reverse on # and it is registered to Paris Kjabril Matthews age 20’s. 155 Reynolds Place, Fayetteville, Ga. Thanks for letting us know, Fannie. We do not usually make random calls or request your personal information. If someone calls you saying that they are from Social Security, do not give them your personal information. Check out our latest blog on this topic for Social Security tips, including how to find out if the call was from us. We hope this helps. I received a call from this number (800) 777-2621 the operator leave me a scary voice message like i need to call back immediately or my social securty will be blocked. Hi Ahmad: If the caller is claiming to be from Social Security—it is critical that you pay attention to the tone and content of the message from the caller. In some cases, the caller states that Social Security does not have all of your personal information, such as your Social Security number (SSN), on file. Other callers claim Social Security needs additional information so the agency can increase your benefit payment, or they threaten that Social Security will terminate your benefits if they do not confirm your information. This appears to be a widespread issue, as reports have come from people across the country. These calls are not from Social Security. I live in Trumbull, CT 06611. I just received a call informing me that there was a problem with my SSA number and that I should call 325-216-9539. I did not call. I tried reporting the call to the SSA at 800+269-0271 but the office was not open and I was given this web site for reporting. Hi James: If the caller is claiming to be from Social Security—it is critical that you pay attention to the tone and content of the message from the caller. In some cases, the caller states that Social Security does not have all of your personal information, such as your Social Security number (SSN), on file. Other callers claim Social Security needs additional information so the agency can increase your benefit payment, or they threaten that Social Security will terminate your benefits if they do not confirm your information. This appears to be a widespread issue, as reports have come from people across the country. These calls are not from Social Security. How do I report phone call fraud? Hi Emily: If the caller is claiming to be from Social Security—it is critical that you pay attention to the tone and content of the message from the caller. In some cases, the caller states that Social Security does not have all of your personal information, such as your Social Security number (SSN), on file. Other callers claim Social Security needs additional information so the agency can increase your benefit payment, or they threaten that Social Security will terminate your benefits if they do not confirm your information. This appears to be a widespread issue, as reports have come from people across the country. These calls are not from Social Security. Hi Robert: If the caller is claiming to be from Social Security—it is critical that you pay attention to the tone and content of the message from the caller. In some cases, the caller states that Social Security does not have all of your personal information, such as your Social Security number (SSN), on file. Other callers claim Social Security needs additional information so the agency can increase your benefit payment, or they threaten that Social Security will terminate your benefits if they do not confirm your information. This appears to be a widespread issue, as reports have come from people across the country. These calls are not from Social Security. me that fraudulent actions have happened on my social security number. If I don’t contact a number, they will be taking legal action against me. Friday, 02-15-2019, 951-293-4004 from Perino, CA at 10:06 a.m.
Friday, 02-15-2019, 951-293-4004 from Perino, CA at 4:16 p.m.
On each occasion, the robotic voice informs me I must call the above listed number(s) or legal action will be taken against me. I have not answered these calls. Each time they have called, I have not been near the phone. They have left a message on my answer machine. I would appreciate it very much if you could take care of this matter. These calls are becoming very annoying. Hi Randy: If the caller is claiming to be from Social Security—it is critical that you pay attention to the tone and content of the message from the caller. In some cases, the caller states that Social Security does not have all of your personal information, such as your Social Security number (SSN), on file. 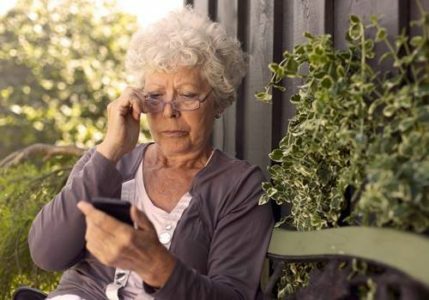 Other callers claim Social Security needs additional information so the agency can increase your benefit payment, or they threaten that Social Security will terminate your benefits if they do not confirm your information. This appears to be a widespread issue, as reports have come from people across the country. These calls are not from Social Security. February 20, 2019, I received a phone call from Brandon, FL, 1-813-308-2976. Left message that the Social Security Administration needs to talk to me and to call the above number as soon as possible. I will not call them but thought you might want to. I am reporting this fraud number to you. These people are calling from Corpus Cristy, 361-353-0504 they say they are SSA. I know their wrong. So I hung up and wrote you. Please get these people. I have never lived in the south. Please” OIG, get them. Here’s the number once again, 361-353-0504. By the way, “I reported the number to Experian Fraud Dept. They did nothing. My email is: Alston C Davis Sr .
Hi Alston: Thanks for letting us know. If the caller is claiming to be from Social Security—it is critical that you pay attention to the tone and content of the message from the caller. In some cases, the caller states that Social Security does not have all of your personal information, such as your Social Security number (SSN), on file. Other callers claim Social Security needs additional information so the agency can increase your benefit payment, or they threaten that Social Security will terminate your benefits if they do not confirm your information. This appears to be a widespread issue, as reports have come from people across the country. These calls are not from Social Security. received a voicemail from 1-410-469-8084 telling me that a federal arrest warrant was issues on me for fraudulent activity. Told me to call that number back immeduately. I am assuming this is fake?! Hi Sherri: If the caller is claiming to be from Social Security—it is critical that you pay attention to the tone and content of the message from the caller. In some cases, the caller states that Social Security does not have all of your personal information, such as your Social Security number (SSN), on file. Other callers claim Social Security needs additional information so the agency can increase your benefit payment, or they threaten that Social Security will terminate your benefits if they do not confirm your information. This appears to be a widespread issue, as reports have come from people across the country. These calls are not from Social Security. Received a robo call from 203-693-4105 that said that there was fraudulent activities on my SSS account and told me to call back. They identified themselves as SSS employees. Hi Frank: If the caller is claiming to be from Social Security—it is critical that you pay attention to the tone and content of the message from the caller. In some cases, the caller states that Social Security does not have all of your personal information, such as your Social Security number (SSN), on file. Other callers claim Social Security needs additional information so the agency can increase your benefit payment, or they threaten that Social Security will terminate your benefits if they do not confirm your information. This appears to be a widespread issue, as reports have come from people across the country. These calls are not from Social Security. Hello,I’m reporting a phone number that called my cell, claiming to be from the SSA. It was automated, stating I had illegal activities on my SS card. The number show from Texas. (817-587-6001). Hi Brenda: Thanks for letting us know. If the caller is claiming to be from Social Security—it is critical that you pay attention to the tone and content of the message from the caller. In some cases, the caller states that Social Security does not have all of your personal information, such as your Social Security number (SSN), on file. Other callers claim Social Security needs additional information so the agency can increase your benefit payment, or they threaten that Social Security will terminate your benefits if they do not confirm your information. This appears to be a widespread issue, as reports have come from people across the country. These calls are not from Social Security. Rec. a call from ssa on feb. 20 2019 person said he was a agent for ssa. he stated my social security number was going to be cancel. told me to then left a msg. on my answering service to call his office 443 380 3563 which I did.. no one answered.have called many times since still no one in the office. have called fraud hot line and left call back number no help yet ..I need help..
Hi Peter. If the caller is claiming to be from Social Security—it is critical that you pay attention to the tone and content of the message from the caller. In some cases, the caller states that Social Security does not have all of your personal information, such as your Social Security number (SSN), on file. Other callers claim Social Security needs additional information so the agency can increase your benefit payment, or they threaten that Social Security will terminate your benefits if they do not confirm your information. This appears to be a widespread issue, as reports have come from people across the country. These calls are not from Social Security. Thanks for letting us know, Roger. We do not usually make random calls. If anyone receives calls saying that they are from Social Security, do not give out any personal information. Check out our recent blog post for more tips. We hope this helps. It is Sat. 2/23/19; and I have been receiving at least 5 calls from phone 281-886-0857, claiming that I have been found to have committed fraudulent acts on my social security, and will be under immediate arrest unless I respond immediately to the aforementioned number. I am now getting repeated voicemails direct to my phone – by-passing contact with my phone. I simply wanted to make you aware. I did not call back, and know I am innocent of any illegal activity. Thank you. Hi, Marilyn. Thanks for letting us know. We don’t usually make random calls. If anyone receives calls saying that they are from Social Security, do not give out any personal information. Suspicious calls should be reported to the Office of the Inspector General at 1-800-269-0271 or online. Check out our recent blog post on this topic for additional tips. We hope this helps. There are many angles to phone fraud. Someone left me a message that it appeared there might be some fraudulent activity with SS number. I was told to call back at 214-705-2299. When I did so, the person at the other end wanted my personal info and I became suspicious and asked him to send me something in writing. Still waiting. On Feb. 26, 2019 I received an automated message from the SSA telling me about a legal enforcement for fraudulent activity on my account. I received the same message on Feb. 27, 2019 each message had a different phone number to call. I got a phone call today at work (Tyson Foods) and the caller identified herself as a Government Employee and that they were shutting down my bank account, my property, and vehicles. The number that they called from is 520-265-5278. This message speak to our officer works fine please call us back on our hotline number (520) 265-5278 I repeat that is (520) 265-5278 please disregard this notice and in return the call to for meeting with the legal proceedings against you thank you. Hi, Karen. Thanks for checking in with us. We do not usually make random calls. If anyone receives calls saying that they are from Social Security, do not give out any personal information. Suspicious calls should be reported to the Office of the Inspector General at 1-800-269-0271 or online. You can find additional information here. We hope this helps. Hi, Mark. Thanks for letting us know. We do not usually make random calls. If anyone receives calls saying that they are from Social Security, do not give out any personal information. Suspicious calls should be reported to the Office of the Inspector General at 1-800-269-0271 or online. You can find additional information here. We hope this helps. I received a call from Dept. of SSA. illegal activity on my SS number. Phone Number 8147082031. Hi, Sandra. Thanks for letting us know. Suspicious calls should be reported to the Office of the Inspector General at 1-800-269-0271 or online. You can find additional information here. We hope this helps. I received a voice mail early morning of 3/7/19, from Social Security which I believed was a fraud, stating that my Social Security has been suspended. I need to press 1 or call Social Security, or they will file a legal claim against me through the Court. This sounds very suspicious, and I believe, that anything coming from Social Security will be in the form of a signed formal letter, along with a contact number. This is the first time I received anything like this. I just want to report this to the SSA. Thank You. My spouse received four calls from 866-404-1142 this day leaving recordings about shutting down his retirement auto deposits. This seems like fraud. What is the protocol to alerts for recipients? Hi Dea. Social Security Administration (SSA) employees occasionally contact citizens by telephone for customer-service purposes. An SSA employee may call you in limited situations, such as if you recently filed a claim or have other Social Security business that are pending. In only a few limited special situations, usually already known to the citizen, an SSA employee may request the citizen to confirm personal information over the phone. If a person has questions about any communication—email, letter, text or phone call—that claims to be from SSA or the OIG, please contact your local Social Security office. You may also call Social Security’s toll-free customer service number at 1-800-772-1213, 7:00 a.m. to 7:00 p.m., Monday through Friday, to verify its legitimacy (TTY number at 1-800-325-0778). Thanks. Received a call from 906-464-0611 at 12:30 on 13 March 2019. It appears to me to be a scam. I am trying verify if I would receive a call from SSA telling me my SSN has been compromised; particularly from the phone number above. Thanks for your comment, Doug. Social Security AdministrationThanks for letting us know. We do not usually make random calls. If someone calls you saying that they are from Social Security, do not engage. Instead, contact your local Social Security office or call 1-800-772-1213 to see if the call was from us. Suspicious calls should be reported to the Office of the Inspector General at 1-800-269-0271 or online at http://ow.ly/8s3230msMqw. You can find additional information here: http://ow.ly/tOjX30msMsQ. We hope this information is useful. I received a robo call regarding cancellation of my SS benefits the phone # was 602 529 3518. I hung up as a representative came on the line, no information was given. Philip, thank you for checking in with us. If the caller is claiming to be from Social Security—it is critical that you pay attention to the tone and content of the message from the caller. In some cases, the caller states that Social Security does not have all of your personal information, such as your Social Security number (SSN), on file. Other callers claim Social Security needs additional information so the agency can increase your benefit payment, or they threaten that Social Security will terminate your benefits if they do not confirm your information. This appears to be a widespread issue, as reports have come from people across the country. These calls are not from Social Security. we are receiving scam calls about getting fraudulent social security. The calls are very threatening. coming from phone number 682-651-8534. Hi Vicki, thank you for checking in with us. If the caller is claiming to be from Social Security—it is critical that you pay attention to the tone and content of the message from the caller. In some cases, the caller states that Social Security does not have all of your personal information, such as your Social Security number (SSN), on file. Other callers claim Social Security needs additional information so the agency can increase your benefit payment, or they threaten that Social Security will terminate your benefits if they do not confirm your information. This appears to be a widespread issue, as reports have come from people across the country. These calls are not from Social Security. Received calls from alleged sos. They said they suspended activity on my card. They left a tel number of 866-4043245. I suspect this is a fraudulent call. Hi Julia, thank you for checking in with us. If the caller is claiming to be from Social Security—it is critical that you pay attention to the tone and content of the message from the caller. In some cases, the caller states that Social Security does not have all of your personal information, such as your Social Security number (SSN), on file. Other callers claim Social Security needs additional information so the agency can increase your benefit payment, or they threaten that Social Security will terminate your benefits if they do not confirm your information. This appears to be a widespread issue, as reports have come from people across the country. These calls are not from Social Security. I received a call from this number 213-600-7612. On March 14,2019. They said that my Social Security Benefits have been compromised,and I should call the number above. I would like to make a report. Thank you. Hi Patricia, thank you for letting us know. If the caller is claiming to be from Social Security—it is critical that you pay attention to the tone and content of the message from the caller. In some cases, the caller states that Social Security does not have all of your personal information, such as your Social Security number (SSN), on file. Other callers claim Social Security needs additional information so the agency can increase your benefit payment, or they threaten that Social Security will terminate your benefits if they do not confirm your information. This appears to be a widespread issue, as reports have come from people across the country. These calls are not from Social Security. I received a call on Wednesday in which the person at the other line pretended to be from the SS department. He asked me for my SS# and I did. I am sure now that the caller was not from the SS and it was a scam. Could you please let me know how best to proceed in order to avoid identity theft or any other fraudulent action against me. Manuel, thank you for checking in with us. If the caller is claiming to be from Social Security—it is critical that you pay attention to the tone and content of the message from the caller. In some cases, the caller states that Social Security does not have all of your personal information, such as your Social Security number (SSN), on file. Other callers claim Social Security needs additional information so the agency can increase your benefit payment, or they threaten that Social Security will terminate your benefits if they do not confirm your information. This appears to be a widespread issue, as reports have come from people across the country. These calls are not from Social Security. .I GOT A PHONE CALL ON MARCH 15.2019 THEY SAID THEY WERE FROM SOCIAL SECURITY. THE MAN AKED FOR MY SOCIAL SECRITY NUMBER. HE DAMED IT AND TRYED TO TELL ME I WAS IN TEXAS AND THAT I RENTED A CAR WHICH I HAVE NEVER BEEN TO TEXAS. TOLD ME I LIVE IN THE HAMTONS WHICH I DON,T HE SAID I WOULD BE IN COURT ON MONDAY. HE GOT SO NASTY WHEN I WOULD,T GIVE MY INFORTMATION. Hi Debra, thanks for checking in with us. If the caller is claiming to be from Social Security—it is critical that you pay attention to the tone and content of the message from the caller. In some cases, the caller states that Social Security does not have all of your personal information, such as your Social Security number (SSN), on file. Other callers claim Social Security needs additional information so the agency can increase your benefit payment, or they threaten that Social Security will terminate your benefits if they do not confirm your information. This appears to be a widespread issue, as reports have come from people across the country. These calls are not from Social Security. Lois, thanks for checking in with us. If the caller is claiming to be from Social Security—it is critical that you pay attention to the tone and content of the message from the caller. In some cases, the caller states that Social Security does not have all of your personal information, such as your Social Security number (SSN), on file. Other callers claim Social Security needs additional information so the agency can increase your benefit payment, or they threaten that Social Security will terminate your benefits if they do not confirm your information. This appears to be a widespread issue, as reports have come from people across the country. These calls are not from Social Security. I received a scam call today 03/15/2019 4:02 pm from ph#1-877-840-5742 asking for my information about my social security and if I wouldn’t comply I would get picked up at my home from the police. please help in this matter , this is very concerning to me and with my disability now I will not be able to sleep or feel safe. please look into the phone number that has called me , I would say to harass me as well. Its very disturbing , Im trying to deal with my disability and much more health issues then this happens and all my thoughts and anxiety get worse. once again please help . your help is highly appreciated. Hi Lilyann. If the caller is claiming to be from Social Security—it is critical that you pay attention to the tone and content of the message from the caller. In some cases, the caller states that Social Security does not have all of your personal information, such as your Social Security number (SSN), on file. Other callers claim Social Security needs additional information so the agency can increase your benefit payment, or they threaten that Social Security will terminate your benefits if they do not confirm your information. This appears to be a widespread issue, as reports have come from people across the country. These calls are not from Social Security. Hi Karen: If the caller is claiming to be from Social Security—it is critical that you pay attention to the tone and content of the message from the caller. In some cases, the caller states that Social Security does not have all of your personal information, such as your Social Security number (SSN), on file. Other callers claim Social Security needs additional information so the agency can increase your benefit payment, or they threaten that Social Security will terminate your benefits if they do not confirm your information. This appears to be a widespread issue, as reports have come from people across the country. These calls are not from Social Security. Call from 832-220-5730. VM stated illegal activity had been detected on my SS acct. Return call: Person answering had HEAVY Indian accent. Asked first & last name – given to him. ID’ed himself as Officer Mark Henry, badge # 88162. Told him this was a scam & hung up. Hi, Brian. Thanks for checking in with us. We do not usually make random calls. If anyone receives calls saying that they are from Social Security, do not give out any personal information. Suspicious calls should be reported to the Office of the Inspector General at 1-800-269-0271 or online. You can find additional information here. We hope this helps. Message from 866-613-2861 left March 19, 1:28 pm. Stated my SSN was suspended. If I wanted to settle the issue, dial 1. Thanks for checking in with us, Crystal. We do not usually make random calls. If anyone receives calls saying that they are from Social Security, do not give out any personal information. Suspicious calls should be reported to the Office of the Inspector General at 1-800-269-0271 or online. You can find additional information here. We hope this helps. I received a call from 469-656-6039 Allen Tx. today about my S.S. retirement application is this a legitament S.S. person or a fraud ? Hi, Debra. We do not usually make random calls. If someone calls you saying that they are from Social Security, do not give them your personal information. Instead, contact your local Social Security office or call 1-800-772-1213 to see whether we really need any information from you. You can find additional information here. We hope this helps. Received a call this morning 03-20-19 from someone stating they were with SSA and my Social Security # had be compromised as they found evidence of it in a car registered to me in Texas with drugs in it. This call came from 1-204-230-6145, I was interviewed by an Agent(?) then transferred to another for information on what to do. Agent Jacob Wamker SSA # 262655 Phone # 1-313-381-1800. I got suspicious when I was told to go to my bank withdraw my funds before they were closing the account and reissuing a new SS card. I was to give the money to 2 Federal agents who would be at my place at 4:30pm today. I was to go into the bank and with draw the funds while he stayed on the line to listen. That is when I hung up, he tried to call back 5 times. I received a call at 2:59 on 3/20/19 saying it was from the Legal Dept. of Social Security and that my SS number was being withdrawn and that I should contact them immediately at 866-964-6304. I didn’t answer the phone and when I did I got the message from you to report it. I received a call from a robo caller saying they were from the Legal Dept of SS and that there was a problem with my SS # and that it was being withdrawn from me, The # I received the call from was 866-964-6304. I did not answer it and when I went back I got a message from you and no info. was given to them. Hi, Judy. Thanks for checking in with us. Suspicious calls should be reported to the Office of the Inspector General at 1-800-269-0271 or online. You can find additional information here. We hope this helps. Hi, Robert. We do not usually make random calls. If anyone receives calls saying that they are from Social Security, do not give out any personal information. Suspicious calls should be reported to the Office of the Inspector General at 1-800-269-0271 or online. You can find additional information here. We hope this helps. i received a phone call on Wed March20,1920 from 430-8083481 telling me to call immediately that the law enforcement was going to suspend my social security number,for me to contact them immediately! Hi, Joy. Thanks for letting us know. We do not usually make random calls. If anyone receives calls saying that they are from Social Security, do not give out any personal information. Suspicious calls should be reported to the Office of the Inspector General at 1-800-269-0271 or online. You can find additional information here. We hope this helps. Received a phone call on 3/20 that my SS number had been compromised and my number would be destroyed. They started to give a number for me to call and I hung up. In this call I did not give any information. Hi, Donna. Thanks for sharing this information. We do not usually make random calls. If anyone receives calls saying that they are from Social Security, do not give out any personal information. Suspicious calls should be reported to the Office of the Inspector General at 1-800-269-0271 or online. You can find additional information here. We hope this helps. Hi Barbarra: If the caller is claiming to be from Social Security—it is critical that you pay attention to the tone and content of the message from the caller. In some cases, the caller states that Social Security does not have all of your personal information, such as your Social Security number (SSN), on file. Other callers claim Social Security needs additional information so the agency can increase your benefit payment, or they threaten that Social Security will terminate your benefits if they do not confirm your information. This appears to be a widespread issue, as reports have come from people across the country. These calls are not from Social Security. Hi Dennis: If the caller is claiming to be from Social Security—it is critical that you pay attention to the tone and content of the message from the caller. In some cases, the caller states that Social Security does not have all of your personal information, such as your Social Security number (SSN), on file. Other callers claim Social Security needs additional information so the agency can increase your benefit payment, or they threaten that Social Security will terminate your benefits if they do not confirm your information. This appears to be a widespread issue, as reports have come from people across the country. These calls are not from Social Security. i was just contacted by a man who said he was from Social Security and that I was a victum of identity theft. He has my ss number and wanted me to remove mt money from my bank and go to a Target store on Lomas. I figured it was a scam and hung up. I did not answer his return calls. Do I need to do anything else? Hi Nancy: If the caller is claiming to be from Social Security—it is critical that you pay attention to the tone and content of the message from the caller. In some cases, the caller states that Social Security does not have all of your personal information, such as your Social Security number (SSN), on file. Other callers claim Social Security needs additional information so the agency can increase your benefit payment, or they threaten that Social Security will terminate your benefits if they do not confirm your information. This appears to be a widespread issue, as reports have come from people across the country. These calls are not from Social Security. Hi, Virginia. We do not usually make random calls. If anyone receives calls saying that they are from Social Security, do not give out any personal information. Suspicious calls should be reported to the Office of the Inspector General at 1-800-269-0271 or online. You can find additional information here. We hope this helps. I just got a call claiming to be from SS administration and said their was suspicous activity connected to my SS number and wonted me to call this number 215-586-7803. Thanks for letting us know, David. We do not usually make random calls. If anyone receives calls saying that they are from Social Security, do not give out any personal information. Suspicious calls should be reported to the Office of the Inspector General at 1-800-269-0271 or online. You can find additional information here. We hope this helps. Fraud call? 888-810-0055 I did not answer deleted. Please let me know if my SSA has been invaded. Hi, Kathleen. We do not usually make random calls. If anyone receives calls saying that they are from Social Security, do not give out any personal information. Suspicious calls should be reported to the Office of the Inspector General at 1-800-269-0271 or online. You can find additional information here. We hope this helps. My third call recently from a number in Arizona saying its from ss. The number is (520)720-0738. I called the number back this time and hear what sounds like a phone room and the person answering phone could not speak English. I told him I didn’t think this was ss. and he hung up. Hi, Karen. Thanks for letting us know. We do not usually make random calls. If anyone receives calls saying that they are from Social Security, do not give out any personal information. Suspicious calls should be reported to the Office of the Inspector General at 1-800-269-0271 or online. You can find additional information here. We hope this helps. I received a call today from phone # 1-602-529-3518 at 2:01 pm 3/28/2019 Claimed to be SS office and that if I did not cooperate my benefits would be suspended. I was asked to hit 1 on my phone and that is when I hung up. I did not think SS called people. Advise. My # 941-916-9522. Hi, Janet. Thanks for letting us know. We do not usually make random calls. If anyone receives calls saying that they are from Social Security, do not give out any personal information. Suspicious calls should be reported to the Office of the Inspector General at 1-800-269-0271 or online. You can find additional information here. We hope this helps. This is my valid email address.. Trying to report two separate voice messages from an unknown caller pretending to be an employee of the SSA stating suspicious activity using my SSN and the suspension of my SSN. The numbers are 914-895-6493 and 914-012-6676. SSA sent me to OIG, OIG sends me to FTC. Your online reporting form does not seem to be set up to handle these scam calls. I hope that helps you in your investigations! Thanks for all you do for all of America! I know it’s a complex system, but I so appreciate the hard work that many of you at SSA put into each day! My name is Jesse Villanueva and I am report a frund tell me that there a activity on my social security and I should call them back.The number is 844_577_8293.you can call me back at 559-731-7180. I have recieved 4 calls today 3/29 that I was being charged with SS fraud – I hung up on the first 2 and noticed it was a different phone # each time. the 2nd 2 calls were on voice mail and I noted the phone #’s – 415-890-5417 and 248-999-1562 – I did not listen to them or write down the # they wanted me to call back. I am pretty sure that is not how you operate. Hi, Monica. Thanks for letting us know. We do not usually make random calls. If anyone receives calls saying that they are from Social Security, do not give out any personal information. Suspicious calls should be reported to the Office of the Inspector General at 1-800-269-0271 or online. You can find additional information here. We hope this helps. not giving him any information and hung up. Just received a call from telephone number 464-205-1854 advising the suspension of my social security account by some government crime agency and advising me to call the number above. Did not call. Hi, William. Thanks for checking in with us. We do not usually make random calls. If anyone receives calls saying that they are from Social Security, do not give out any personal information. Suspicious calls should be reported to the Office of the Inspector General at 1-800-269-0271 or online. You can also report these scams to the Federal Trade Commission through a new site specific to Social Security scams, here. You can find additional information here. We hope this helps. 234.249.5887. I suspect this to be a fraudulent call. He said there are illegal activities concerning my social security number. Hi, Donald. Keep in mind we do not usually make random calls. If anyone receives calls saying that they are from Social Security, do not give out any personal information. Suspicious calls should be reported to the Office of the Inspector General at 1-800-269-0271 or online. You can also report these scams to the Federal Trade Commission through a new site specific to Social Security scams here. We hope this helps. I received a call from a Richard Martin and SSA Agent stating that fraudulent activity has been found on my Social Security number. Please call this number 424-269-4567. it displayed California on my phone. I called local SSA office in Indiana and got this web info. Hi, Jane. We do not usually make random calls. If anyone receives calls saying that they are from Social Security, do not give out any personal information. Suspicious calls should be reported to the Office of the Inspector General at 1-800-269-0271 or online. You can also report these scams to the Federal Trade Commission through a new site specific to Social Security scams here. We hope this helps. Hi, Nick. Thanks for letting us know. Keep in mind we do not usually make random calls. If anyone receives calls saying that they are from Social Security, do not give out any personal information. Suspicious calls should be reported to the Office of the Inspector General at 1-800-269-0271 or online. You can also report these scams to the Federal Trade Commission through a new site specific to Social Security scams here. We hope this helps. I RECEIVED A CALL (PHONE NUMBER I THINK WAS 866-752-0954) STATING MY SOCIAL SECURITY NUMBER WAS BEING BLOCKED DUE TO IRREGULARITIES AND THAT I SHOULD PRESS ONE FOR FURTHER INFORMATION. I CANCELLED THE CALL AND ATTEMPTED TO CONTACT SOCIAL SECURITY AND WAS GIVEN YOUR PHONE NUMBER AND THIS ADDRESS. THE OFFICE WAS CLOSED FOR THE DAY SO I’M SENDING THIS MESSAGE. I get at least one or more calls daily saying that the SSA is suspending my SSN because of suspected fraud. I immediately hang up but they continue to call. The phone number it is coming from is 877-685-4238. Thanks for letting us know, Elota. We do not usually make random calls. If anyone receives calls saying that they are from Social Security, do not give out any personal information. Suspicious calls should be reported to the Office of the Inspector General at 1-800-269-0271 or online. You can also report these scams to the Federal Trade Commission through a new site specific to Social Security scams here. We hope this helps. I received a call from 281-931-1463 and 281-648-8775 stating that I have had fraudulent act using my social security number. What should I do? Hi Rhonda. Thank you for checking in with us. Unfortunately there are some Social Security impersonation schemes that we are warning citizens about. You may report suspicious calls to the OIG at 1-800-269-0271 or online via https://oig.ssa.gov/report. Recently received two phone call saying if I don’t call back my social security will be legally blocking at 832-321-8923. I called and they couldn’t tell me way and hung up after saying I won’t gave them my social security number. Hi Katherine. Thank you for checking in with us. Unfortunately there are some Social Security impersonation schemes that we are warning citizens about. My name Dennis Shipley 11/14/1952 , I live in Oakley Ca today I received a telephone call that was certainly a fraudulent attempt. the main alert was they had my social number, and was looking for more information. I gave them nothing more . My concern is that they did have my social sercurity number . What do I do from here this could be a real problem for me. Please reply to my call for HELP ! Dennis Shipley (925 727 1701) Thank You . Hi Dennis. Thank you for checking in with us. Unfortunately there are some Social Security impersonation schemes that we are warning citizens about. Hi Joseph. Thank you for checking in with us. Unfortunately there are some Social Security impersonation schemes that we are warning citizens about. Hi. Joseph. Thanks for letting us know. Suspicious calls should be reported to the Office of the Inspector General at 1-800-269-0271 or online. You can also report these scams to the Federal Trade Commission through a new site specific to Social Security scams, here. You can find additional information here. We hope this helps. I received a recorded phone call I was connected to a man who sounded foreign. He asked for my name and S.S. #. I told him since he called me so he should already know that. He immediately hung up. Please investigate. Others who are not as informed might fall for this scam and have a lot of problems. I received a call from someone saying they were from Social Security and that I needed to call them back because my social security number was a fraud. They called from Texas and the number they called from was 254-655-1244. I did not give them any information. I hung up the phone. I have received my second call regarding my ss.The message left did not state a name of the caller or my name. I received three calls today from two different nos. Second phone no: 1 888 810 0438 which was a voice message and same as test message. Hi, Janet. Thanks for checking in with us. We do not usually make random calls. If anyone receives calls saying that they are from Social Security, do not give out any personal information. Suspicious calls should be reported to the Office of the Inspector General at 1-800-269-0271 or online. You can also report these scams to the Federal Trade Commission through a new site specific to Social Security scams, here. You can find additional information here. We hope this helps. Rcv’d call 16 Apr at 8:02 am from 646-439-3505 telling me that there was a problem with my SS card . I was further directed to push “1”. After doing this voice came on telling me that was a non-working extension. Tried calling the number again and voice said “call rejected.” ????? just got a call from phone number 760 797 7881 Palm Desert CA saying they were with the Federal Crimes division of the SS office and I needed to call them as soon as possible Is this a scam? Hi. Thanks for checking in with us. We do not usually make random calls. If anyone receives calls saying that they are from Social Security, do not give out any personal information. Suspicious calls should be reported to the Office of the Inspector General at 1-800-269-0271 or online. You can also report these scams to the Federal Trade Commission through a new site specific to Social Security scams, here. You can find additional information here. We hope this helps. I received a phone call from 469-453-0848 advising me my SSN had been compromised.